Charlie Daniels has announced the inaugural "Charlie Daniels Patriot Award Dinner" to be held at The Palm Restaurant in Nashville, Tennessee on Tuesday, September 18. The evening will feature remarks from decorated military veterans Chris Spence and Mario Vigil, two of the "Real Horse Soldiers" portrayed in the 2018 critically-acclaimed film, 12 Strong, starring Chris Hemsworth. Daniels and special guest Chris Young will also perform live. SiriusXM's Storme Warren will emcee the event. On behalf of his veterans non-profit organization, The Journey Home Project (TJHP), the Country Music Hall of Famer will also award the first-ever Charlie Daniels Patriot Award to two special honorees, handpicked by Daniels and his manager and TJHP co-founder, David Corlew. This year's recipients will be announced at a later day. "We are adding a new feature to the Journey Home fundraiser this year," says Daniels. "We are going to be presenting the first Charlie Daniels Patriot Award to some folks who have gone above and beyond to help our veterans." 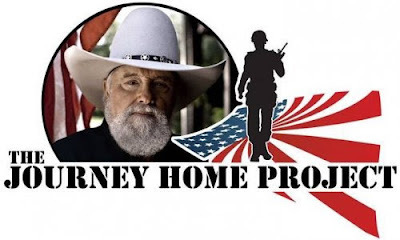 The criteria for the Charlie Daniels Patriot Award is based on the mission of The Journey Home Project: To support veterans in their return, rehabilitation, and reintegration back into civilian life. The award honors a person, persons, or group that exemplifies the efforts and dedication to fulfill its purpose of care, support and encouragement to the men, women, and families who have served our great nation. Along with Daniels, Spence and Vigil, the evening's guest speakers include military vets Mark "Oz" Geist, Kyle E. Lamb, and David Rutherford, as well as former New York City police commissioner Bernard B. Kerik. All proceeds from the evening benefit The Journey Home Project. The event is produced by David Corlew & Associates. The "Charlie Daniels Patriot Award Dinner" is sponsored by The Palm, Military Systems Group, Empire Distributors of Tennessee, Inc., the Shepherd Center, Wondergraphics, APA, UES (Utility Equipment Service), MTSU's Charlie and Hazel Daniels Veterans and Military Family Center, Outback Concerts and Team Construction.